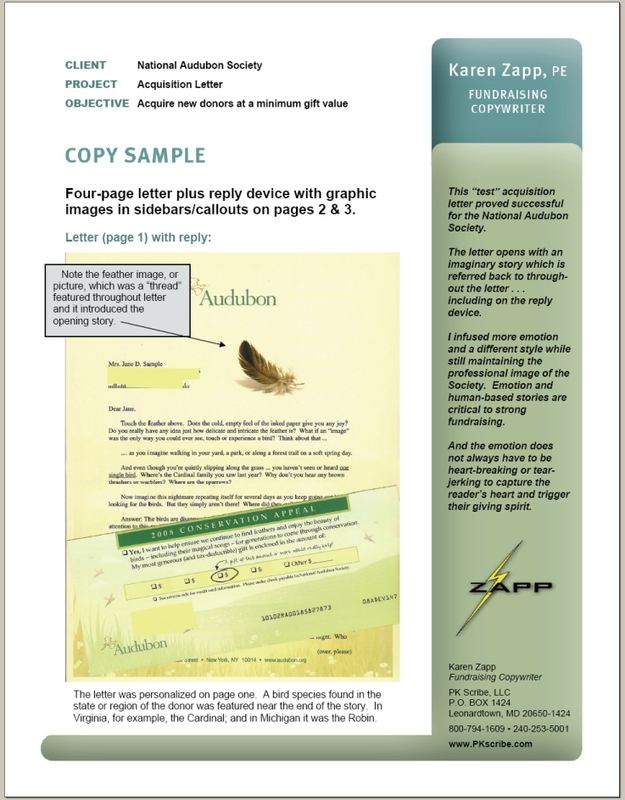 This "test" acquisition letter proved successful for the National Audubon Society. The letter opens with an imaginary story which is referred back to through-out the letter . . . including on the reply device. I infused more emotion and a different style while still maintaining the professional image of the Society. Emotion and human-based stories are critical to strong fundraising. And the emotion does not always have to be heart-breaking or tear-jerking to capture the reader's heart and trigger their giving spirit.